Got a micro PC from a neighbor said he found it and did not want it. It’s a ITX board with a dual core AMD 64 and 4gb of system memory I decided this would be perfect for a HTPC. After much thought decided this was not going to work for there were to many obstacles to leap and just wouldn’t be worth the time. But since I already had the taste of wanting a HTPC I dug into some of my spares and my old work PC which has a Micro-ATX board and a AMD Sempron 145 Sargas 2.7GHz Socket AM3 45W Single-Core Processor and 2gb of DDR3 memory. I know not much power for any PC no less a HTPC that’s intended to playback HD and record TV from TV-Tuner. Well for those who aren’t in the know which I was when I purchased this setup and ultimately forgot about. 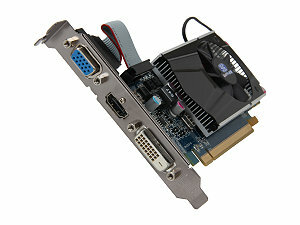 The Sempron 2.7ghz processor matched with a Mainboard that has a AMD SB710 southbridge chipset on it can unlock the Sempron to The AMD Athlon II Dual core 4400e processor. This is plenty enough to now playback HD content in 720p or 1080 I’ve tested this and am 100% sure it plays back smoothly. Lets break down the cost for what I paid for the CPU,Mainboard, 2gb Memory: CPU- $37.99 , Mainboard- $39.99, 2gb Memory- $16.99. I did buy these 3 items back in 2012 so prices may be less today. 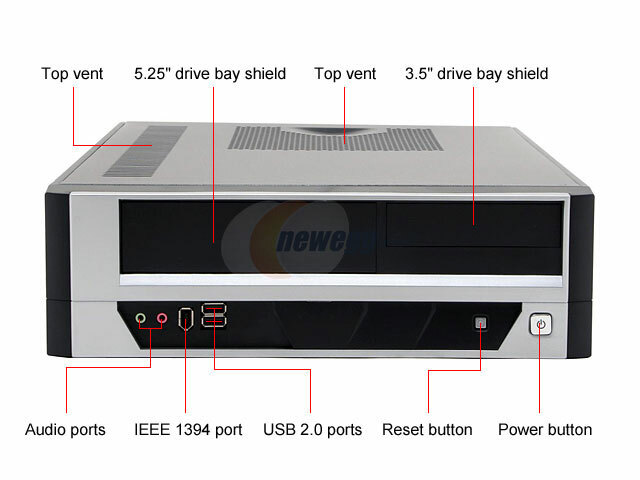 Initially I planned on building the HTPC into my TV cabinet drawer but decided it would get quite warm and no place to get any fans mounted that would not be showing on the front of the TV cabinet. Here’s the cabinet I planned on building it into. You will see why it wasn’t such a great idea. Not a good idea to build in a HTPC on this cabinet! As you can see by the picture my idea was not sound. So off I went shopping for a HTPC case I didn’t have a large budget for this build so I had to get the best I could afford and also be sure it fit my needs. There are much better HTPC cases out there if you have the $$ to spend do it! I went with the APEX DM-317-A Black/ Silver Steel Micro ATX Media Center / Slim HTPC Computer Case that also included the PSU 275Watts. Remember this is a HTPC not a gaming PC so it needs to be as silent as possible when it’s playing media and what not. The cost for this awesome yet small and cheap HTPC case $49.99 + $8.99 shipping charge. Multiple plates which allow for low profile installation. While This build isn’t meant for gaming I do always like to have a fighting game installed on all my computers. It’s an entertainment box what’s entertainment without Street Fighter? 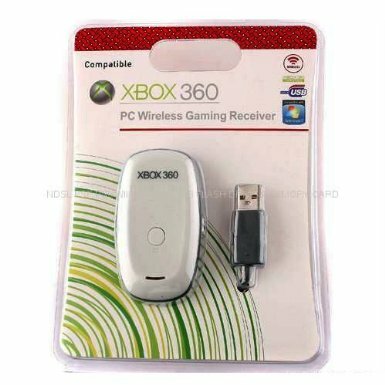 The 360 RF Receivers can be bought refurbed at Gamestop for $13.99 or buy new each $19.99. Update: My friend found a small mod that will allow using the RF from the Xbox on a PC. The mod looks simple enough and what’s best it would be 4-controllers able to connect wirelessly doing it this way.I will post update after we try to complete this mod if everything goes well i’ll post the details on a new posting. Connect your 360 controller to any PC. 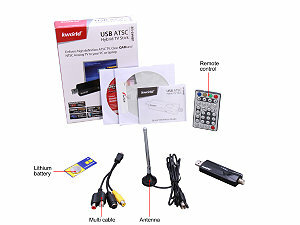 Also will need a HDTV tuner or cable card which ever you can afford will work. The cable card adapters are costly starting at $199 but they are capable of getting premium channels and can record up to 4 shows at a time. 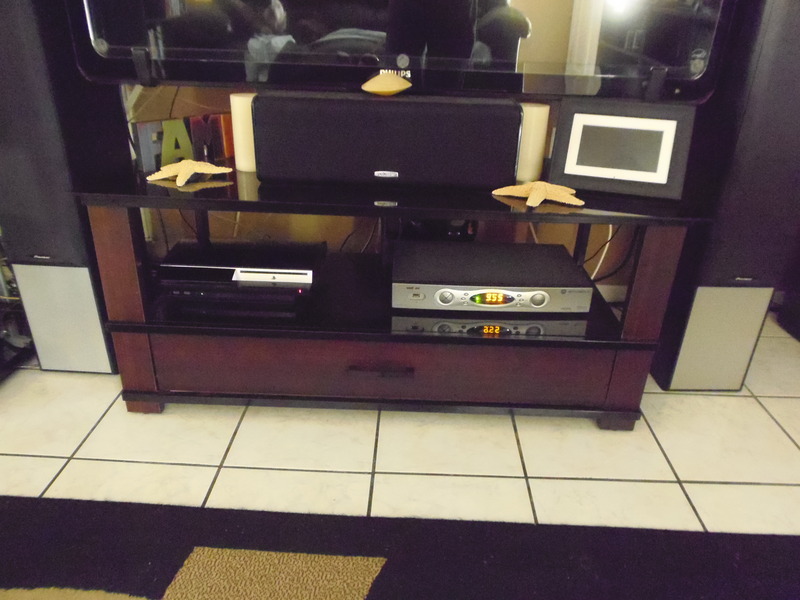 TV-Tuners are more affordable but to record multiple shows you will need multiple TV-Tuner cards or USB adapters. I went with a USB HDTV tuner card because I wanted to save the space in the case and also can add another HDTV Tuner card later on. A TV Tuner can only record 1 show at a time and does not get Cables Premium channels so if you want to be able to record more than 1 show consider a 2nd TV -Tuner card. If you want 4 recordings at 1 time don’t buy 4-TV-Tuners it’s going to cost more or the same as a cable card reader. I went with the KWorld Hybrid TV Stick UB445-U2 USB 2.0 Interface. Although i’m still patiently awaiting it’s delivery did make sure it was compatible with Windows Media Center and most importantly Xbox Media Center aka :XBMC. Unfortunately I believe this item is lost in the Post Office ordered on 17th and arrived locally on the 20th and still no arrival. Have a 350gb Laptop Hdd I am using for the base install and also needed a 1TB HDD for Media storage Movies, Music & PVR. This i’m also waiting on should hopefully arrive tomorrow 04/24/13. Went with Seagate Barracuda ST1000DM003 1TB 7200 RPM 64MB Cache SATA 6.0Gb/s 3.5″ Internal Hard Drive. Can’t forget about Blu-ray & DVD playback I’m using the LG Black 14X BD-R 2X BD-RE 16X DVD+R 5X DVD-RAM 12X BD-ROM 4MB Cache SATA BDXL Blu-ray Burner. Cost: $69.99. Using my Android Tablet and Cell phone as remote all smart phones or tablets with Android, Windows or iPhone can be used as XBMC remote the app is free. Also needed a wireless KB & Mouse slim design preferred Paid: $19.99. Am using Windows 7 Ultimate w/Windows Media Center and XBMC. I’ll post more as I continue with the build and installs. I will be updating this after I finish the build and complete the installation of OS/XBMC and quite a few other apps needed for a seamless Home Theatre experience. In menu after completing HTPC w/XBMC. While I absolutely love the HTPC. Using a HDTV-tuner card is great but it is missing the main channels that come with your cable package like TNT,TBS..etc..etc. Getting a Cable-Card reader for the HTPC has now become a must. Pretty sure this is what i’m going with. Ceton InfiniTV 4 Quad-tuner Card. Not only will this Card reader save me $15 a month for Verizon’s crap DVR. I’ll also be able to record 5 shows at same time. The card from Verizon only costs $5 a month and i’ll get every pay channel that their box does but for less. Yes, I know Wait! it’s a 4x tuner not 5x with the HDTV Tuner and the Cable-card reader i’d be able to record 5 shows instead of 4. After saying the HTPC would be for audio & Video play only. I decided it’s an entertainment box so multiplayer games should be on it as well. It’s amazing how hard it is to find PC games that have split screen play. Here’s the list I’ve found and this seriously is all there is on PC for split screen play. With PC’s being more and more living room products than ever before you would think developers would see this and make games accordingly. Gears Of War =No Split screen coop?!WTF?! The 1GB Vram ATi Radeon HD 6570 has seriously impressed me. So far plays Street Fighter X Tekken, Kane & Lynch Dead Men, Gear Of War & Sega’s Evo racing game all run at 1080p maxed out no problems. I know these games aren’t the latest and greatest. But a $50 Vcard is running them maxed at 1080p pretty amazing. Was searching around the nets just to see what breed of dog is mostly used in the game of disc catching. Appears that the Retriever breeds are most commonly used. Makes sense since this is what these dogs have in their blood. They love to retrieve it’s what they have been bred to do for a long long time they believe the Lab retriever breed goes back to 16th century. St. John’s Water Dog exist. In 1822, explorer W.E. Cormack crossed the island of Newfoundland by foot. In his journal he wrote “The dogs are admirably trained as retrievers in fowling, and are otherwise useful…..The smooth or short haired dog is preferred because in frosty weather the long haired kind become encumbered with ice on coming out of the water.” The breed of retriever I am speaking of is the Labrador Retriever. Also took note that another breed widely used for the game of disc catching is the Shetland Sheepdog often known as the sheltie. The herding instinct is strong in many Shelties. They love to chase and herd things, including squirrels, ducks, children, and if an owner is not watchful, cars. Shelties love to run in wide-open areas. Some Shelties get so excited or anxious that they perform a fast series of tight spins without chasing their tails, a behavior unique to the breed. Again I can see why they are great at disc catching and freestyle disc play. I’ve saw quite a few videos of sheltie breeds doing flips and all kinds o really amazing stunts while catching the disc. I can not complain my Staffy aka: Pitbull is quite good at catching the disc and he loves it. If I do not play at least 2x daily he gets very mischievous. Like catching or chasing other animals he sees as prey like cats. He was very easily taught to catch took me all of a hour to have him grabbing the disc out of the air. From what I read it seems if you want a dog for a specific job or activity it’s best to go with a thoroughbred dog that has a solid line. IF its for play or work you want a dog that has game in it’s blood for many generations. This isn’t to say a mixed breed can not do the same things but majority of the time it takes a bit more work. I’m not saying a mutt can’t do what a full bred dog can they sure can. From personal experience I prefer a full bred dog that has ancestry if picked from a good breeder the dog will be born with gameness. Game or Gameness is a quality of fighting dogs or working terriers that are selectively bred and conditioned from a very early age to develop traits of eagerness despite the threat of substantive injury. Dogs displaying this trait can also be described as persevering, ready and willing, full of fight, spirited, or plucky. Although the Staff breed was created for fighting and it’s still in their blood most well bred Bull & Terrier breeds are working class dogs NOT FIGHTING. This is why they find so many of them abused and killed because assholes try and fight them and when they don’t or don’t do well they are then killed or beaten & mutilated. Any breed of dog can and will bite if threatened. And unfortunately for many breeds they are born mean because of irresponsible breeding. Leave the breeding to the people that know what they are doing and breed for the right reasons. Stay away from puppy mills and backyard breeders. Backyard breeders are one of the reasons we have so many attacks because they breed with dogs that have down right dangerous temperament all in the name of making a few $bucks$. A real breeder breeds for the betterment of the breed.